"Second CD in the 'How Latin Music Changed Rhythm And Blues' series. Latin rhythms have infiltrated every new branch of popular music. Jelly Roll Morton and W.C. Handy incorporated the Cuban habanera into early jazz and blues; the Argentinean tango found its way into twenties dance-band music; the Brazilian baion, samba and bossa nova styles wound their way throughout the century colouring the sixties beat boom and the drum'n'bass of the nineties. But none had such an all-pervasive influence as the rumba. Xavier Cugat's percussion-led rumba orchestras helped to liberate dancers from stuffy foxtrots and waltzes in the 1930's, opening up an altogether more sensual world of excitement and exoticism. Machito brought the mambo from Havana to New York in 1941 but added a four-horn section to the traditional Cuban sextet. After the end of World War II, Perez Prado's orchestra beefed up the sound with kit drums along with harmonic ideas and fiery brass riffs borrowed from swing. His sound had big commercial appeal and when it was accompanied by a specially designed dance, the mambo spread rapidly throughout South America. Prado toured the US for the first time in 1951 and within a couple of years, it was being danced throughout the nation. 1954 was the year of the mambo in America as crowds flocked to the ballrooms to see the exciting new Latin bands. 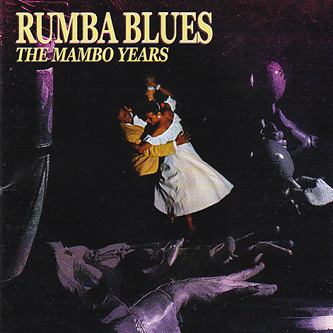 To cash in on the craze, record companies encouraged their pop and R&B artists to write songs in a Latin vein with the word mambo in the title. The samba was also making its presence felt during the mid-50's. Its roots are linked to the rituals of the Candomblé religion from Bahia in north east Brazil. It is the spring in the beat and the almost imperceptible skip at the end of each measure that differentiate it from Cuban rhythms. The repetitive riff making over a groove so beloved of the 60's and 70's springs not from the blues but from Latin song-form and the vamps and montunos found in samba and mambo. Note the similarity between Machito's Freezelandia and the Beatles' Day Tripper and between Deep Purple's Smoke On The Water and Carmen Miranda's's Baia. In post-war popular music, rumba is everywhere, from Elvis' Hound Dog to the Clash's Rock The Casbah. Thanks to Bo Diddley, its 3-2 clave rhythm became an integral part of American music and continues to cast its spell over current day sounds. An illustrated 32 page booklet includes detailed sleeve notes with track-by-track commentary on each song."